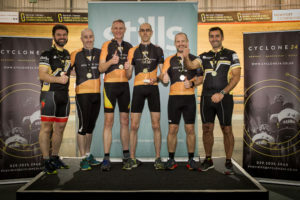 Sunday October 21st saw 132 people descend upon the Geraint Thomas National Velodrome of Wales, for our 4th Cyclone24 Wales challenge sponsored by Stills Branding. The cyclists taking part covered 77,238 laps in total, an outstanding 19,309.5 kilometres; the equivalent of cycling further than Newport, Wales to Christchurch, New Zealand! And raised over £10,000 for charity with money still coming in. From the get go, two teams looked set to smash the challenge, ridging within laps of each other and flying around the track at great pace. 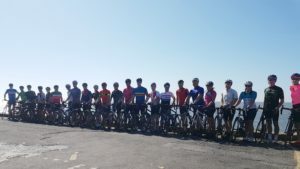 Tag Catering Equipment UK and VaTax, both of whom have Cyclone24 experience having undertaken the challenge in previous years and at various locations, and never left the top two spots, with only laps between them throughout the challenge. 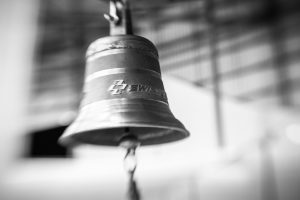 Six and a half hours into the challenge team TAG were already claiming the top of the leaderboard, with team VaTax only 4 laps behind, whilst Willmott Dixon and Faithful & Gould were battling it out for the lead for the Corporate Cup. There was some mid table competition going between teams, with riders from Hodge Bank and Kilsby Williams both on 859 laps, with Sleepless in the Saddle leading the way in the all female teams. 10pm saw Hot Chocolate Hour, an hour of classic tunes from the aforementioned band, and a delivery of creamy delicious hot chocolate for all riders, courtesy of our wonderful event sponsor Stills Branding. As we hit the half way marker, the top spot was tied with TAG & VaTax both on 1951 laps! It literally couldn’t be closer!! But the night shift can do strange things, who would be claiming top spot as daylight broke? Mid table the Wenvoe Wheerlers and Team Nai were also neck and neck, in 8th & 9th position overall both tied on 1693 laps; whilst Willmott Dixon were extending their lead for the Corporate Cup. The track centre lights dimmed, as team members tried their hardest to get maybe an hour or two of shut eye, but the cycling continued, and much determination was needed. At 5am the top of the leaderboard had changed a little, no signs of shifting the top two teams, however, VaTax now had the lead over TAG by just 6 laps. Llanmoor Homes were claiming 3rd (not bad considering they had dropped to 5 riders) and Rogue Resolutions 4th. There wasn’t much movement mid table with teams holding their positions, although the Blake Morgan Flyers were creeping up the board. Daylight broke, friends and family returned to the velodrome, some with breakfast deliveries and we know that the Stills Branding team were more than glad to see the face of Garrie Tillett holding a bag full of McDonalds Breakfasts! The 8am leaderboard showed VaTax still holding top spot, having gained 5 laps over TAG, and with Willmott Dixon still holding on to the Corporate Cup lead. It was now just a matter of the last few hours to see who would finish on top and if anyone would smash through the existing laps record at Newport, of 3792, set by Kilsby Williams in 2017. And with just 15 minutes left on the clock, both team TAG and team VaTax had indeed gone through that record! TAG had reclaimed the lead by just two laps and it was all to play for as these two teams battled it out as the clock counted down. Taking it to the final seconds, the TAG team took the win by just two laps! Final figures of the Newport challenge saw teams amass 77,238 velodrome laps, an outstanding 19,309.5 kilometres. 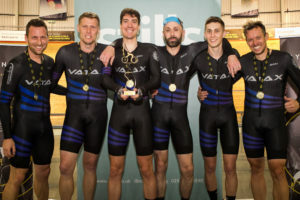 The podium saw TAG Catering UK take Overall Champions, with 3836 laps, setting a new record for the Newport venue, Willmott Dixon take Corporate Champions with 3482 laps and the award for best team kit went to VaTax, after all, they even custom painted their bikes!! We would like to congratulate each and every team and rider who braved the boards and took on the Cyclone24 challenge, it is one of the toughest cycling challenges, both mentally and physically. Congratulations on being a Cyclone24 Finisher! Cyclone24 simply would happen without the support of our friends and so we would like to thank Stills Branding for their ongoing sponsorship of our event. We’d also like to thank PhysioSpace for being an invaluable support to all those taking part in the challenge, volunteering both their time and services, Garrie Tillett and his coaching team and The Thirsty Elephant Coffee Company. We’ll see you all again next year – 20th & 21st October 2019 – get it into your diary now!